The aye-aye is one of the ugliest and strangest of primates. 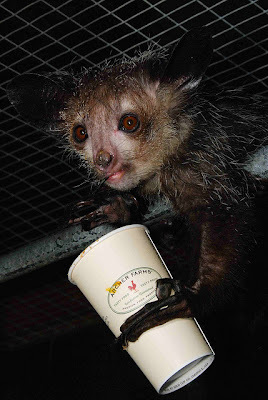 A nocturnal lemur, it has a curious adaptation in the form of an elongated middle finger which is perfect for holding on to a coffee cup - No, wait. There are no paper coffee cups in the wild in Madagascar, so although that fellow at the Duke Lemur Center has found a civilized use for his unique digit, that can't be right, can it? Right. In fact, what the aye-aye does is use its finger to tap on trees to find cavities within them that might contain tasty grubs. It uses its teeth to dig into the cavity, and then the long finger fishes out the food. 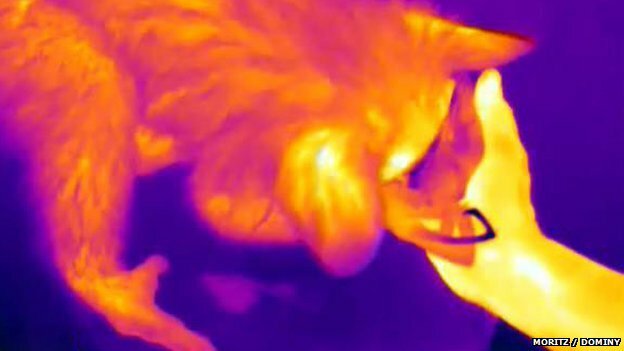 It remains to be determined exactly what the mechanism is for heating and cooling the finger, but as for reason, the researcher says "Like any delicate instrument, it is probably best deactivated when not in use." That's a Javan langur or Javan lutung, showing us that even an ugly animal can appreciate beauty, as long as it's tasty beauty, anyway. 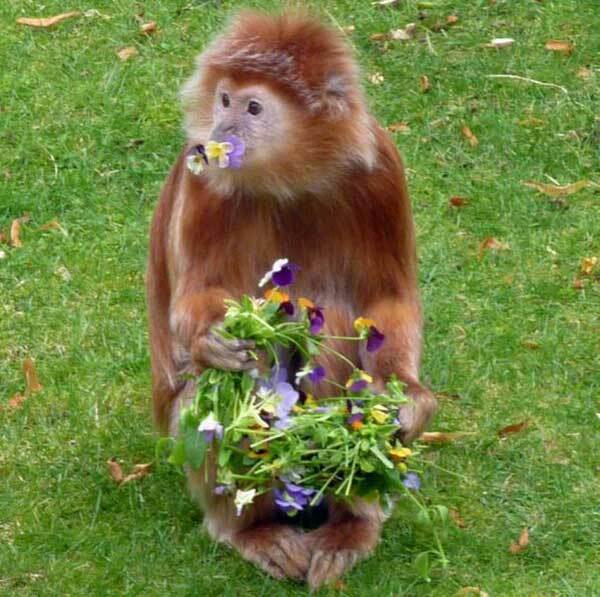 They also enjoy the smell, according to their keepers at Howletts and Port Lympne Wild Animal Parks in Kent. 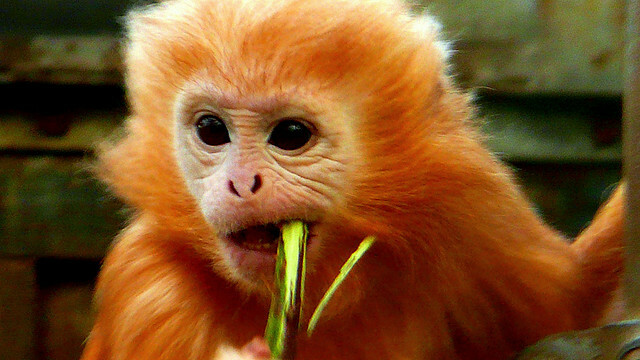 Truly an ugly animal that's got it all. Thanks to Flickr users Tombream07 and Tim Ellis and to the always interesting Nothing To Do With Arbroath. Today I visited some lovely acquaintances of mine who are smooth-sided toads (Bufo guttatus) like the one in this rather dreamy portrait by Brian Gratwicke, conservation biologist at the National Zoo. Sure, they're warty and bumpy and hang out in slimy dark places, but there's something about those beady little eyes that demands a certain amount of affection. The Japanese actually have a word for this type of cognitive dissonance: it's called kimo-kawaii: cute and gross, all at the same time. Not surprising I guess that this country which is a world leader in cute had a handle on this concept before the rest of us. 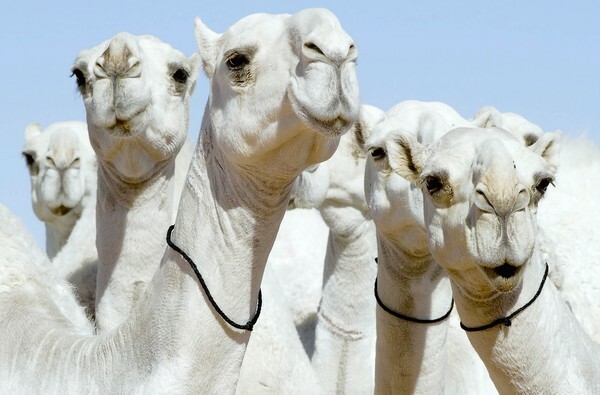 Those are some camels in a competition for the most beautiful camel in Saudi Arabia. All I can say is, it must be a difficult choice, right? Yeah, we usually try to have better pictures than that one. But this is a special occasion. 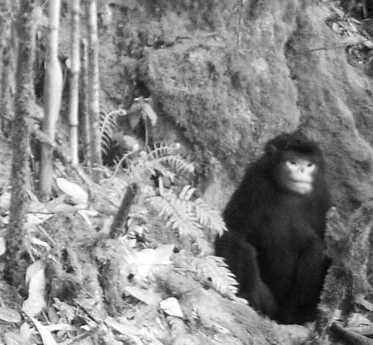 These are the first pictures of a living Myanmar snub-nosed monkey. We sort of met this monkey back in 2010 when its discovery was announced. But scientists had only found out about the species when a hunter brought them a dead one, so news stories were accompanied by a photo of a related species given a Photoshop dye job, to approximate the appearance of the new species in life. 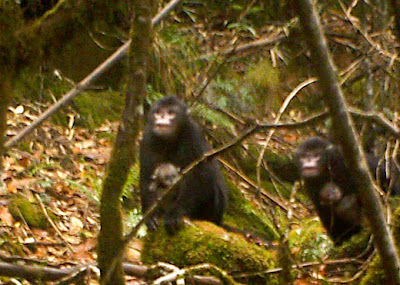 The monkeys were well-known enough by the locals that they had a story about how to find them: They don't like to get rain in their sad, deformed-looking noses, because it makes them sneeze. So look for them when it's raining and follow the sound of the sneezes. 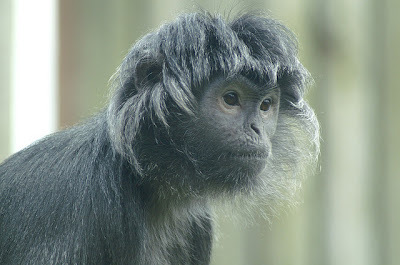 Not great photographic art, sure, but great ugly animal news. 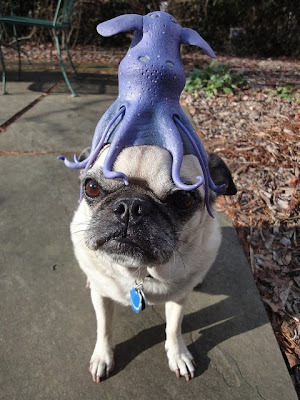 After starting off the New Year here with a pug, I happened upon some canine-related news that should warm the hearts of lovers of ugly animals. According to kennel club statistics, the British are choosing fewer conventionally attractive breeds of dogs in favor of those that are unusual-looking and downright ugly. Registration numbers for German Shepherds and golden retrievers, for example, are down 27% and 20%, and cute little Yorkies are down 32%, since 2001. In contrast, pug registrations are up 557 per cent. 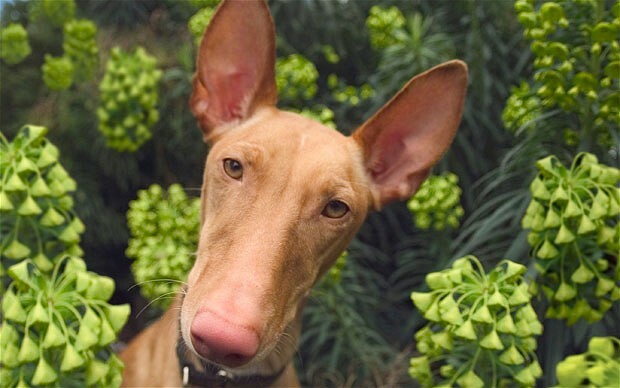 And among the breeds rising fastest in popularity are the Mexican hairless and the Chinese crested - the latter famous for its dominance in the World's Ugliest Dog competition. Other breeds that have gained in numbers are the wrinkly dogue de Bordeaux and the bat-eared Pharaoh Hound (above). Readers of this blog will no doubt enjoy the slideshow here of photos of some popular but not-conventionally-beautiful breeds. It's good news, but I can't help but say it: We liked ugly animals before liking ugly animals was cool! 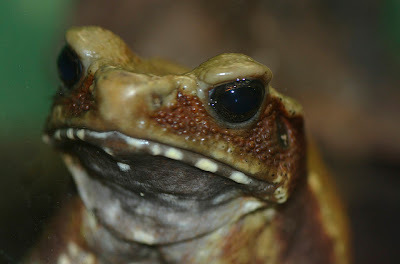 We love ugly animals, but still, even we think they should stay where they belong. Here's hoping you don't get any vampire squid on your head in the New Year.